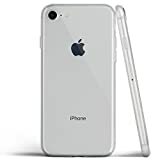 If you want to protect your precious (and pricey) iPhone from dings and scratches but you don’t want to hide that gorgeous design, a clear case is obviously the way to go. Clear cases made out of hard plastic don’t offer any grip though, so people typically prefer soft clear cases. Sadly, that almost always means using something thick and bulky to wrap up your iPhone. Well guess what: it doesn’t have to mean that. 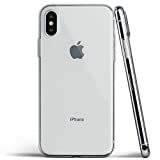 The Totallee Ultra-Thin iPhone Clear Case is the thinnest soft clear case on the planet, measuring just 0.02 inches thick. It still manages to fit your iPhone perfectly though, and it’s not flimsy at all like other thin clear cases. 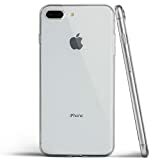 Totallee typically charges $20 for the Totallee Ultra-Thin iPhone X Clear Case and $18 each for the Totallee Ultra-Thin iPhone 8 Clear Case and Totallee Ultra-Thin iPhone 8 Plus Clear Case, and those prices are more than fair. But BGR has an exclusive coupon code that slashes those prices to all-time lows. Enter the promo code BGR30WIN at checkout on Amazon and you’ll save 30% on any of the aforementioned cases. That means you’ll pay just $13.98 for the iPhone X version, or only $12.59 for the iPhone 8 and iPhone 8 Plus models!